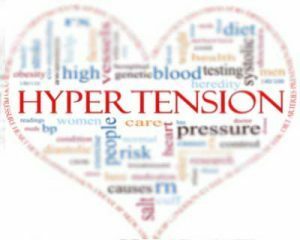 Hypertension is the most common condition seen in primary care and leads to myocardial infarction, stroke, renal failure, and death if not detected early and treated appropriately. Patients want to be assured that blood pressure (BP) treatment will reduce their disease burden, while clinicians want guidance on hypertension management using the best scientific evidence. This report takes a rigorous, evidence-based approach to recommend treatment thresholds, goals, and medications in the management of hypertension in adults. Evidence was drawn from randomized controlled trials, which represent the gold standard for determining efficacy and effectiveness. Evidence quality and recommendations were graded based on their effect on important outcomes. Corollary Recommendation: In the general population aged ≥60 years, if pharmacologic treatment for high BP results in lower achieved SBP (eg, <140 mm Hg) and treatment is well tolerated and without adverse effects on health or quality of life, treatment does not need to be adjusted.